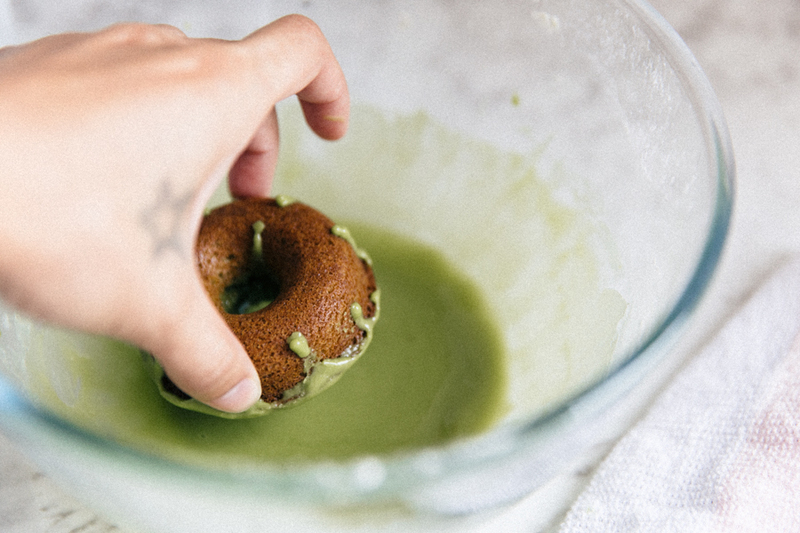 Preparing traditional tea & making matcha donuts with Matcha Tea House Australia. Well, I was kind of right. Also, I was kind of wrong. 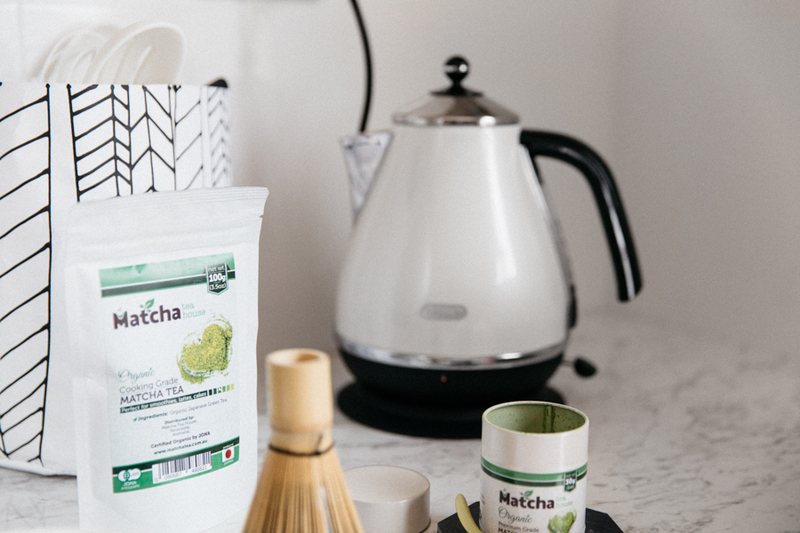 See, the Japanese don’t whip up matcha lattes full of sugar & milk & cream. 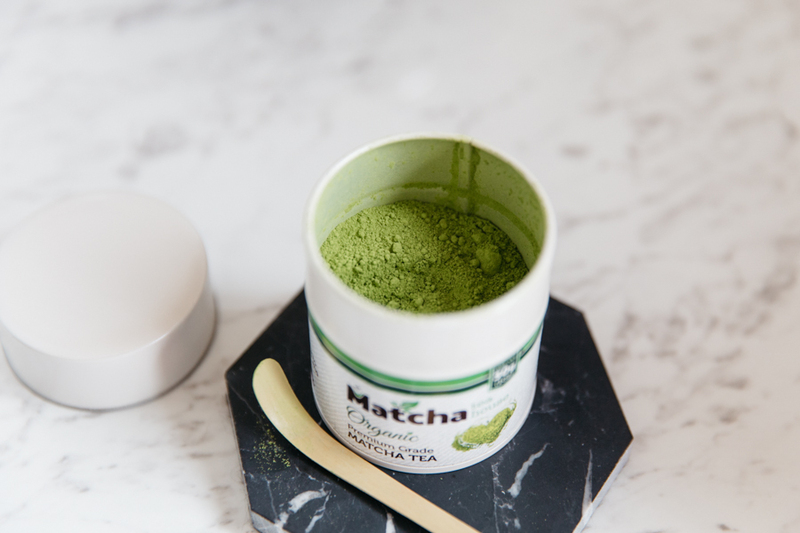 All that stuff masks the real taste of matcha. It’s a bit like cheating. It makes the complexity of the drink really easy to guzzle down. For most people anyway. For me, it was the other way around. Trying a matcha latte for the first time was torturous (may be a bit of an exaggeration) & ended up with me emptying the insides of my stomach in the taxi I was riding. The driver was not impressed. & I was not impressed with my mother who had forced me to try it. But then a few days later, I was craving the very drink which made me throw up. 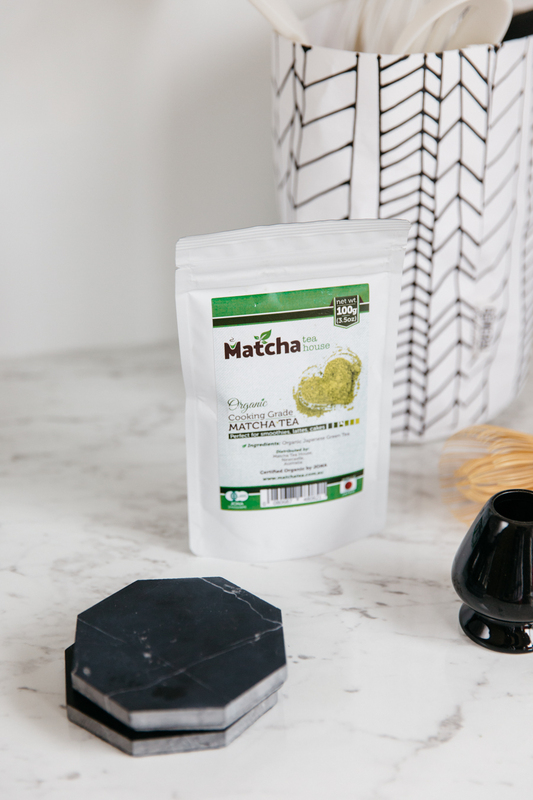 The slight bitterness of the matcha tea infused in an ice-cold, creamy beverage. I’m not sure why I ever questioned the whole green tea & milk thing in the first place & I’m certainly not sure why I acquired the taste for it. Besides the obvious: it’s delicious. Then going to Japan & seeing all the different matcha desserts available. Let’s just say I’ve been hooked ever since. TIP! Use water just below boiling point for best results! 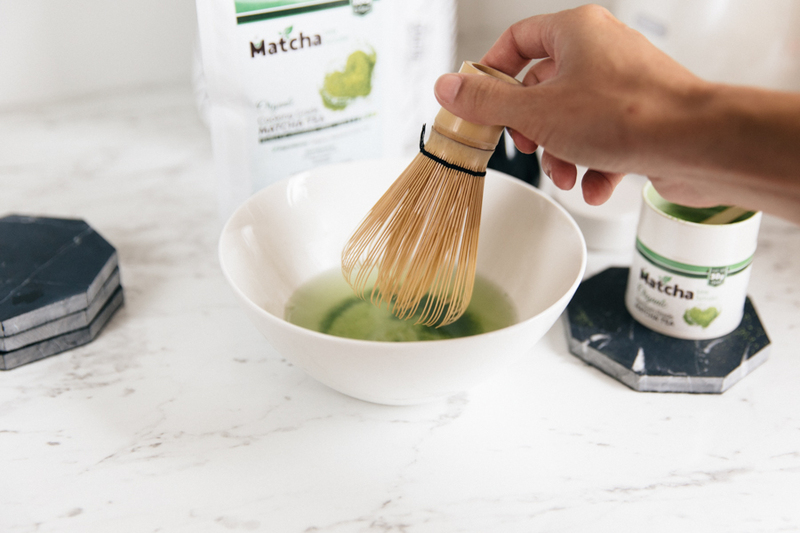 When preparing matcha tea, you want to sift half a teaspoon or two spoons using a traditional bamboo spoon into a chawan – a tea bowl. I don’t have a tea sifter (or a tea bowl) so I just dumped the two spoons into a small bowl. 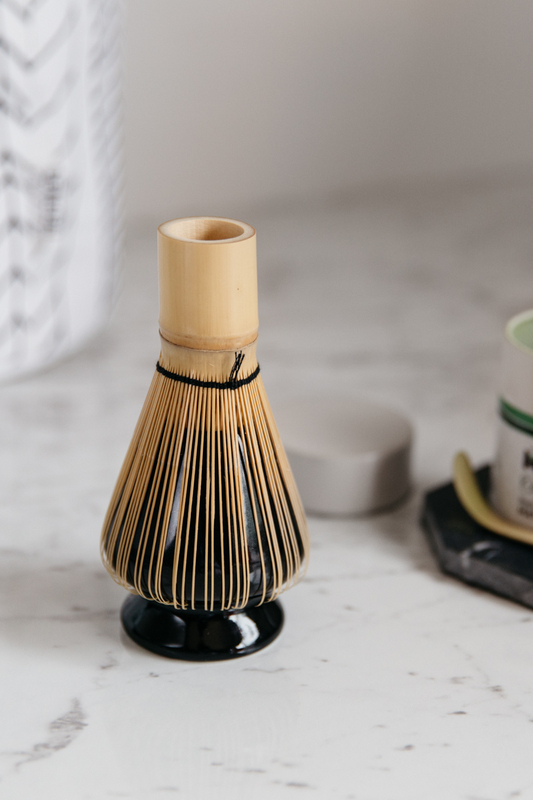 Carefully pour in some water – enough to make a thin paste – then gently combine it together using a chasen (bamboo whisk) to make sure there are no lumps. 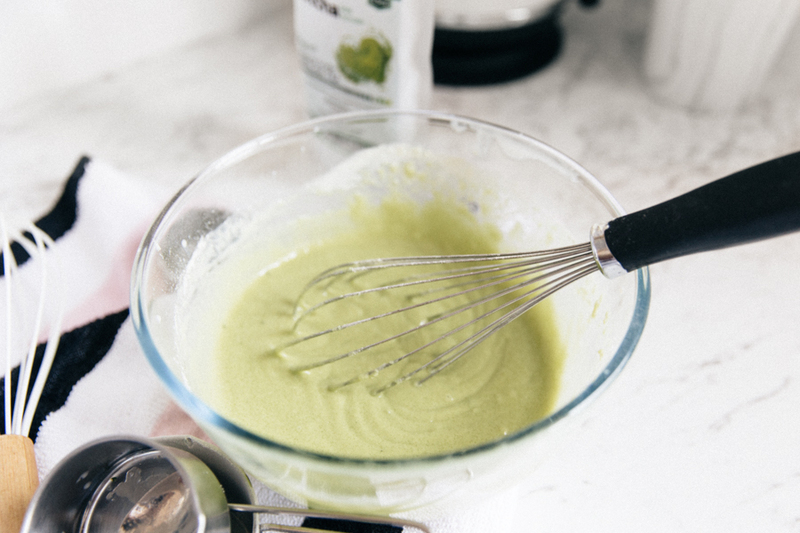 Once it’s all combined, whisk it vigorously in a “z” shape motion, making sure the chasen does not touch the bottom of the bowl. When a firm froth has appeared over the tea, it’s ready to drink. 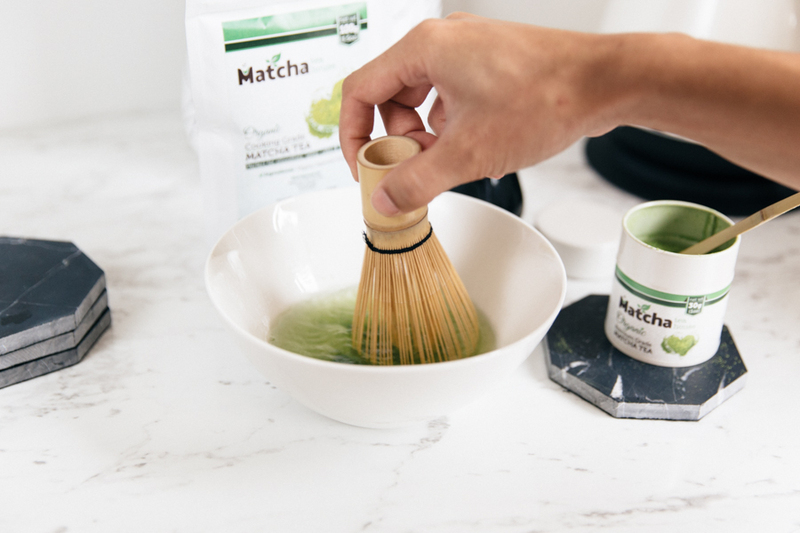 Sip & enjoy it straight from the bowl. It is recommend to pre-soak your chasen in water for a couple of minutes before use. 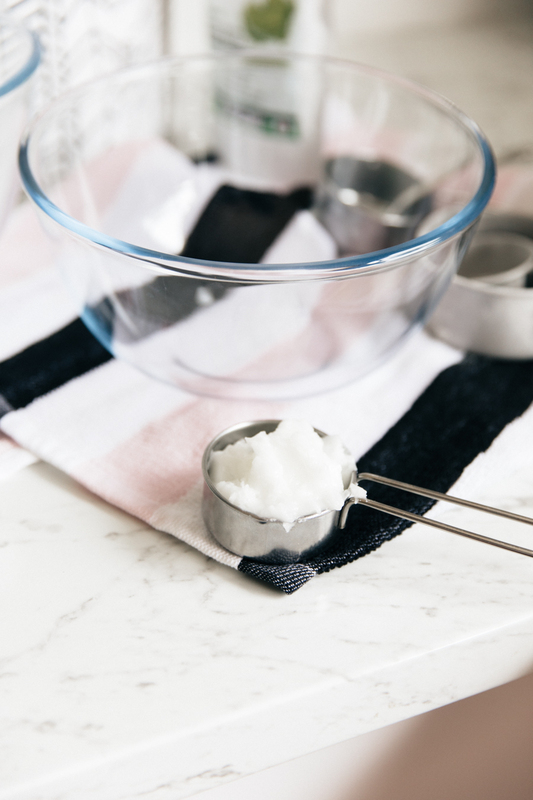 This helps to soften up the tines so they are less prone to breaking while whisking.After use, store your chasen on a chasen holder to help it dry in the proper shape for next use. How delicious these donuts are, that is! 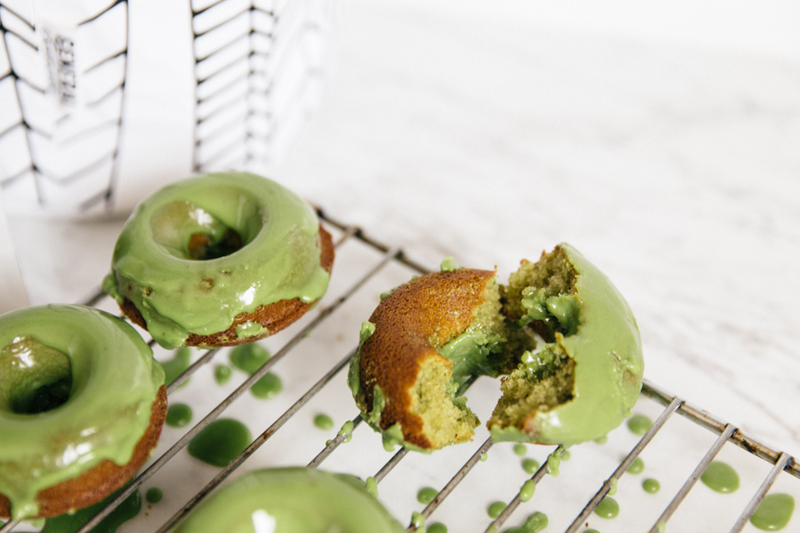 Lame puns aside, if you’re new to matcha or haven’t acquire that specific taste for it yet, let these donuts open the door for you. 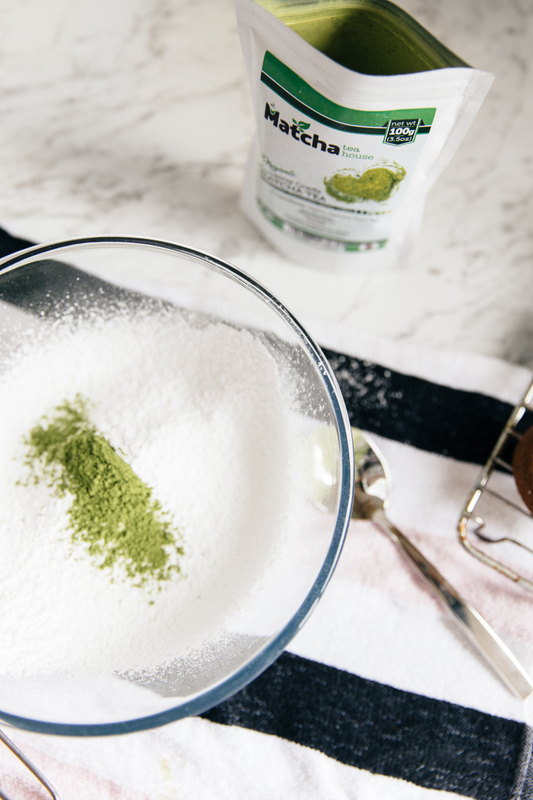 A pleasantly bitter taste softened with sugar & milk, these will turn you into a matcha buff in no time. Preheat oven to 180ºC (fan forced). Meanwhile, sift all the dry ingredients together & then combine them in the same bowl. Combine all the wet ingredients together in another bowl. 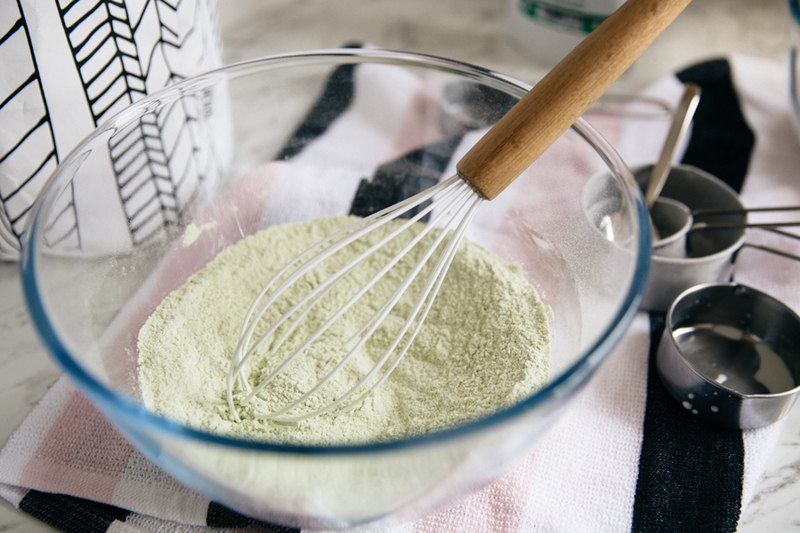 Combine both the wet & dry mixtures together, being careful not to over mix. 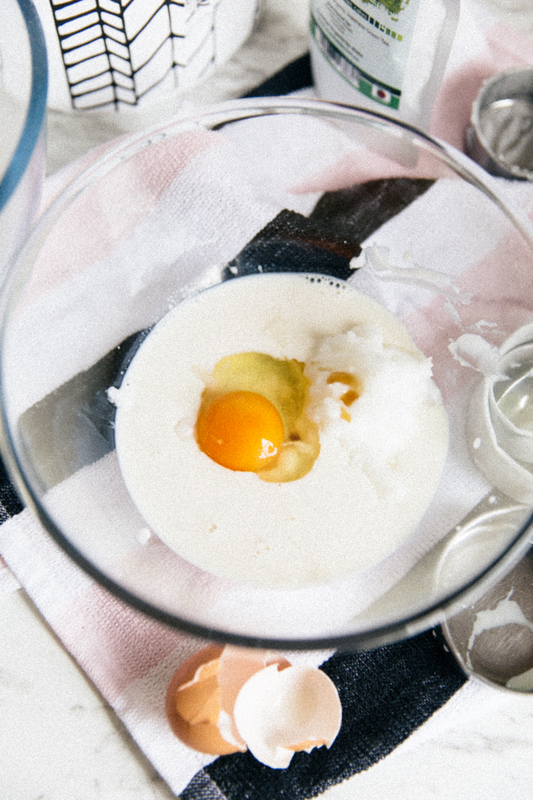 The consistency should be similar to that of cake batter. 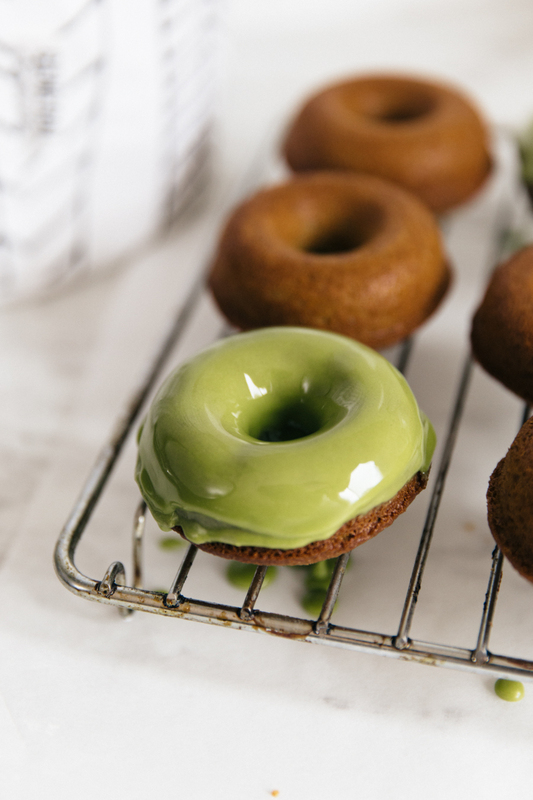 Grease a donut pan & fill each of the donut moulds just over three quarters of the way full. Be careful not to fill them right up or they will rise out of the pan & take over the whole tray & you’ll be left with ugly (but still delicious) lumps. Bake for 10 – 15 minutes, depending on your oven. Let donuts cool completely on rack. 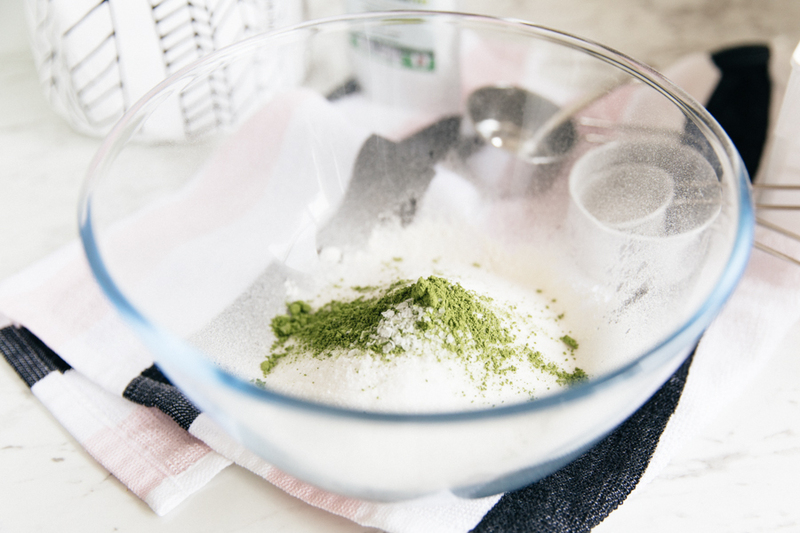 Meanwhile, prepare the icing by combing the icing sugar, matcha & hot water together in a bowl. Add the hot water a little at a time until you reach a runny paste consistency. 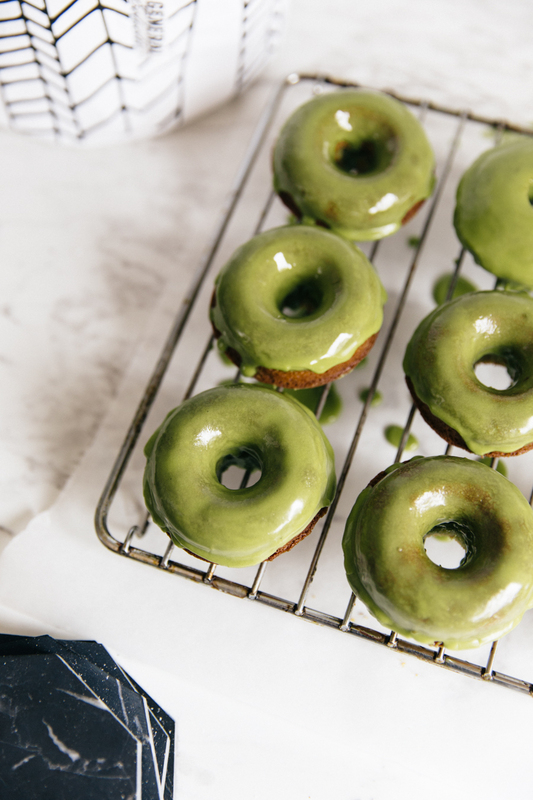 Once donuts have cooled, dip the bottom side of them into the icing mixture & place them back on the rack for the excess icing to drip off onto a baking sheet or tray. 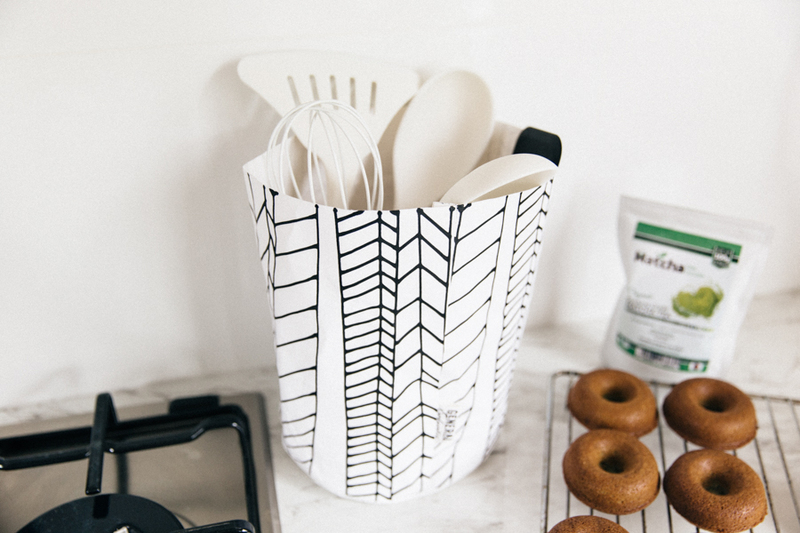 I’ve been keeping all long handled cooking utensils in this washable paper bag from Kitchen Temple which I find is a lot more convenient than a jumbled mess inside a drawer. 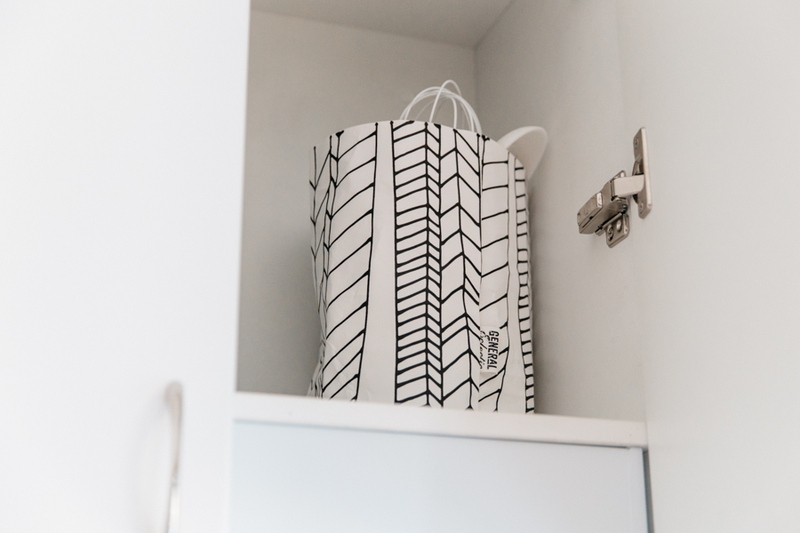 It’s also a lot lighter (& more fun) than a ceramic caddy sitting on the bench top & because it’s lighter, I can easily sit it in the overhead cupboard with no problems & then put it away after to avoid looking cluttered. Of course, they also make great containers for pretty much anything. 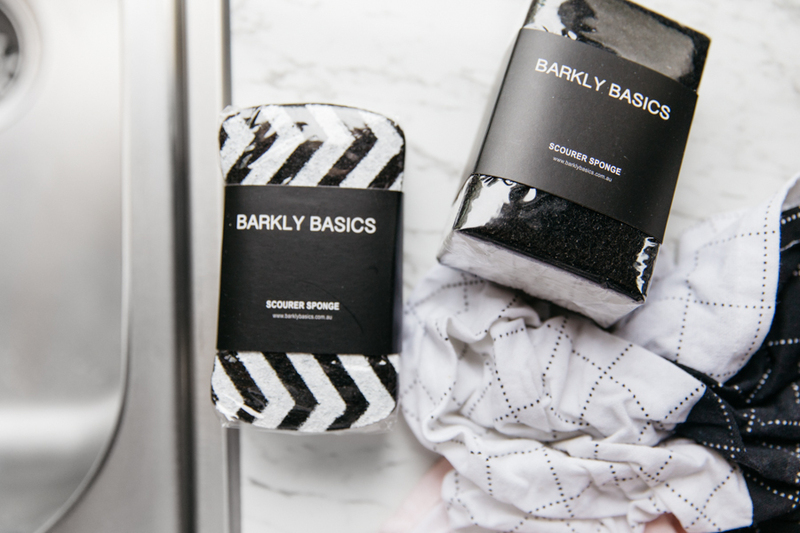 It sounds a bit strange (& like I have no life, which I don’t) to get excited over kitchen sponges but I’m loving the monochromatic look of these Barkly Basics ones over the generic fluoro scourers you get at the supermarket. 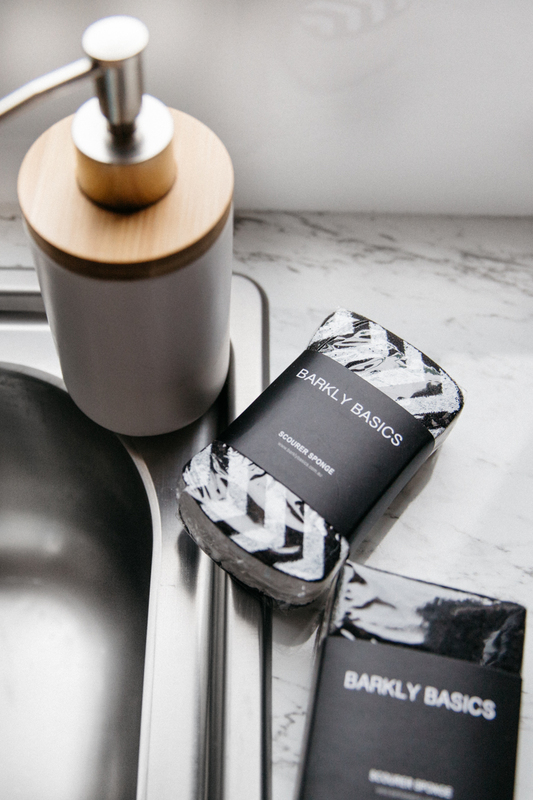 Finally, sponges that match my kitchen that I don’t have to hide away as soon as I’ve used them.